The four-cylinder Benelli motor is in a different league than the slightly bigger engines in the Japanese bikes. 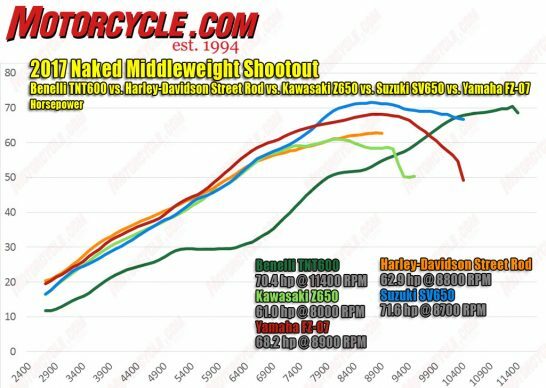 Suzuki’s revvy SV650 (blue) has the best top-end punch, but the FZ-07 takes the honors for overall power production. The power from the Z650 disappointingly tapers off while the FZ and SV keep pulling.